There must be rapid, far-reaching and unprecedented change in global energy systems if the impact of climate change is to be limited to 1.5C, the Intergovernmental Panel on Climate Change (IPCC) has warned. In a new report published this week, the IPCC – citing evidence compiled by more than 90 scientists – has said that as much as 97% of power must be generated by renewables by 2050 as global economies transition towards net-zero emissions status. Across the global economy, CO2 emissions would be required to fall by 45% from 2010 levels by 2030, before transitioning to net zero by around 2050. By 2050, the report states that between 49 and 67% of all primary energy use must come from renewable sources, with just 1 – 7% of primary energy originating from coal. And, even then, the IPCC argues that a “large fraction” of coal firing must be in conjunction with carbon capture and storage technologies. The ranges have been used by the IPCC to account for technology development and strategic choices taken by countries. When limiting its spotlight to electricity generation, the IPCC says that renewables should grow from a ~28% share in 2020 to as much as 97% by 2050, with the median share equating to around 78%. This would equate to around 153.72 Exajoules of power, or 42,700TWh per year. By means of a comparison, the International Energy Agency placed global renewable power output in 2016 at just over 6,000TWh. Earlier this year Imperial College London and Drax’s Electric Insights report showed that the UK’s renewables output in 2017 stood at around 96TWh. The IPCC said it hoped the findings of the report would push global governments and policy makers into action. “This report gives policymakers and practitioners the information they need to make decisions that tackle climate change while considering local context and people’s needs. The next few years are probably the most important in our history,” Debra Robert, co-chair of IPCC Working Group II, said. The report has triggered strong responses from the green economy, with most, if not all, pointing to the urgency in the IPCC’s messaging. 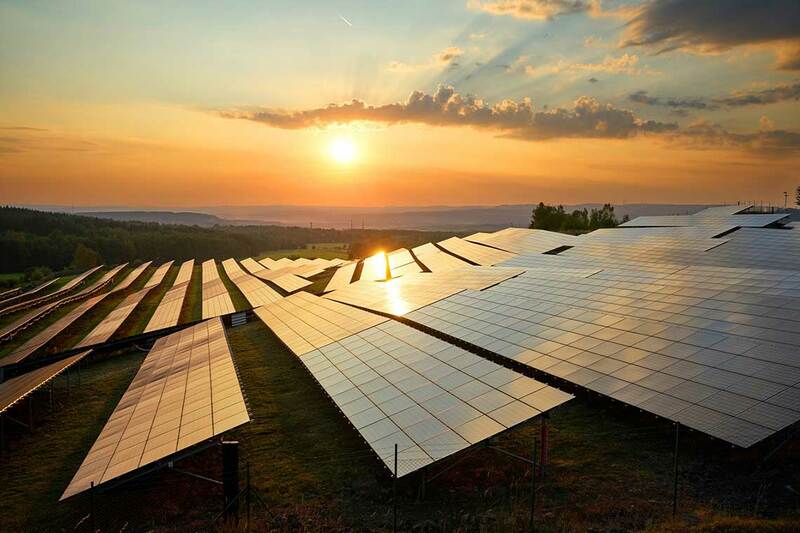 Meanwhile Chris Hewett, chief executive at the Solar Trade Association, said the report amplified “already widespread calls” for the UK government to behind solar and other low-cost renewables. The message couldn't be clearer; time is running out. Our industry stands ready to roll out solutions which are extremely popular with the public, and no longer require subsidy, but government has put too many barriers in the way. Let's be clear, a smart, flexible, renewables pathway is now the cheapest pathway. All we need to deliver that is fair tax treatment, fair market access and level playing fields. We've been repeating this message for years - action is now needed."